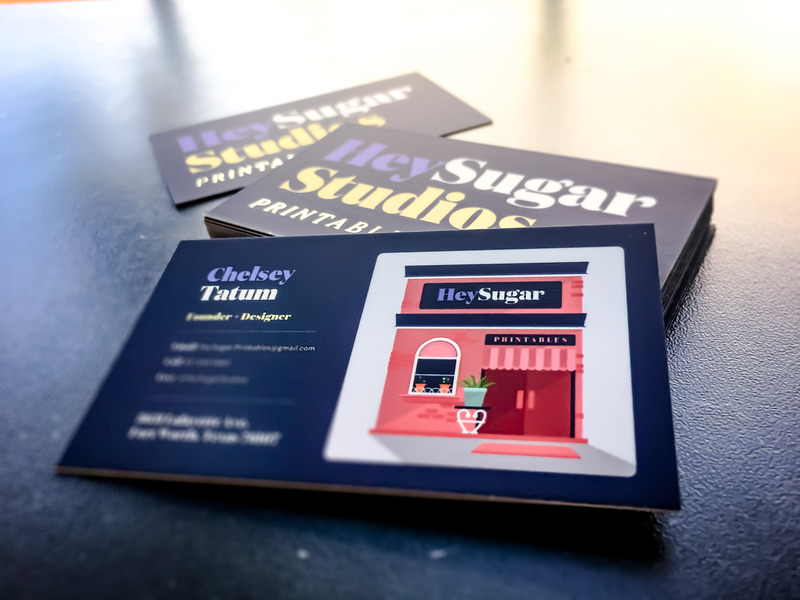 Chelsey Tatum designed these business cards for HeySugar, an Etsy shop belonged to Chelsey that sells smart, minimal and modern printables. 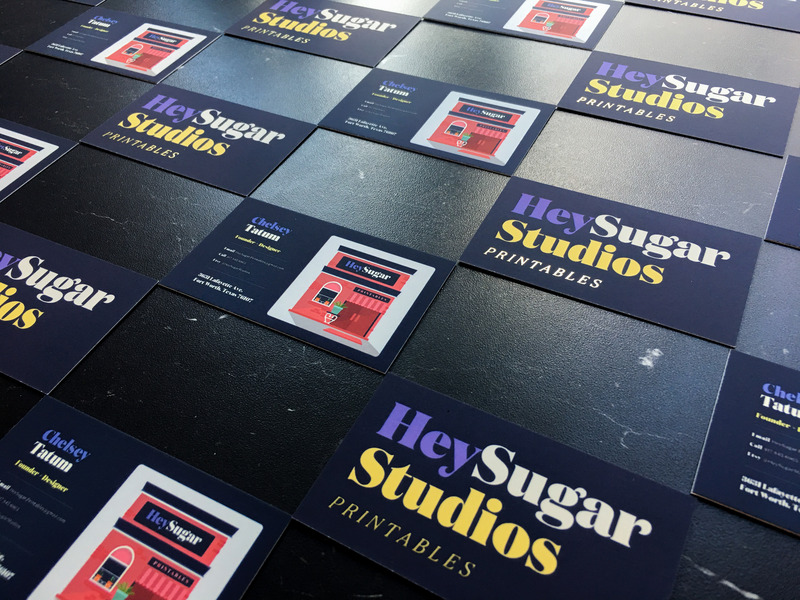 “The design for HeySugar came from needing a brand for my Etsy shop. I noticed I was already creating things for my own life day to day that others might really benefit from! The HeySugar shop lists items like planner pages, budgeting pages or forward thinking pages focus on wellness or personal goals. We also love working on custom orders. Lesson planning for teachers, Travel Planners, Bucket lists, or Hospice Care schedules, you name it! The core of the brand is about self-love, spreading love and discovering an awareness for improvement within our own lives one mindful step forward at a time,” Chelsey said. 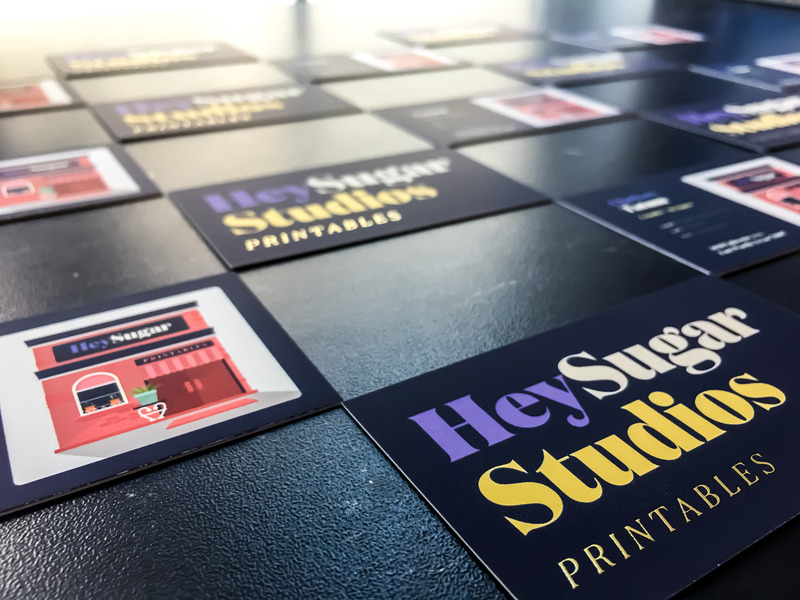 A lot of the elements on the business cards are attention grabbers – the bold, enlarged typography; striking colour combinations, and even a lively illustrated storefront on a dark-coloured background. We love how everything transitioned into one unified purpose, that is – to make a memorable first impression. “One thing I love about Moo is the new features of being able to add spot gloss or gold foiled text to your cards. These particular cards are Moo’s Gold Foil Super Standard Size,” Chelsea added.